It's 21:17 in Dahab, Egypt right now. 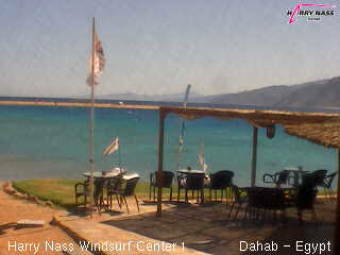 Live from Dahab Every minute a new image from Dahab, Sinai peninsula. Dahab: Kite Lagoon, 0 miles away. AIDAprima: Captain's View, 216 miles away.